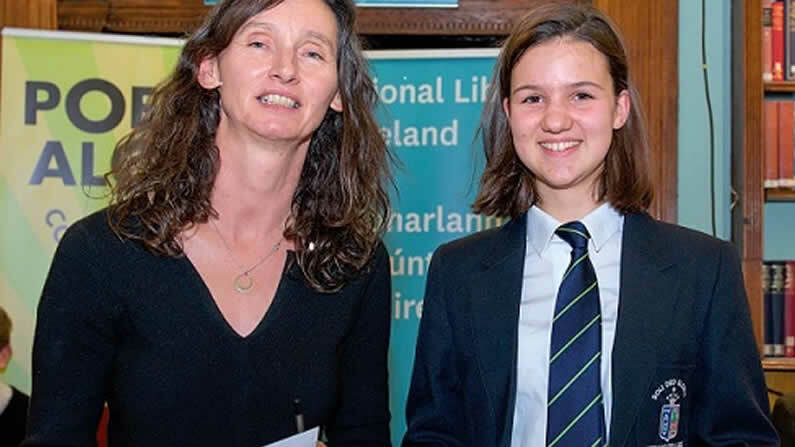 Congratulations to Adela Zingdritz who was runner up in the Intermediate section of Poetry Aloud which took place in the National Library on the 7th December. An amazing achievement. Here Adele is being presented with her prize by Maureen Kennelly, Directory of Poetry Ireland.